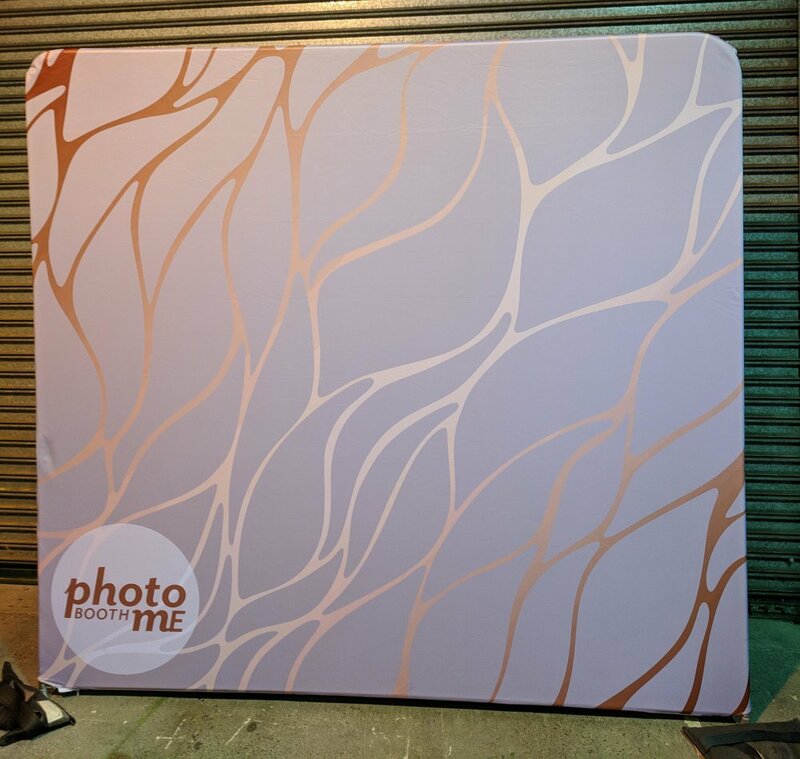 PhotoboothME with the introduction of our bespoke booths and the ability of our HD booths to be set up 'naked' in front of a backdrop have begun offering amazing backdrops with our photobooth hires. The photoboothME Green Wall is not just any fake green wall backdrop. This wall designed and made by an actual florist. She has since lost all credibility with her floristy frients for working with fake greenery but boy has she made friends with our photoboothME clients. They all love this wall. 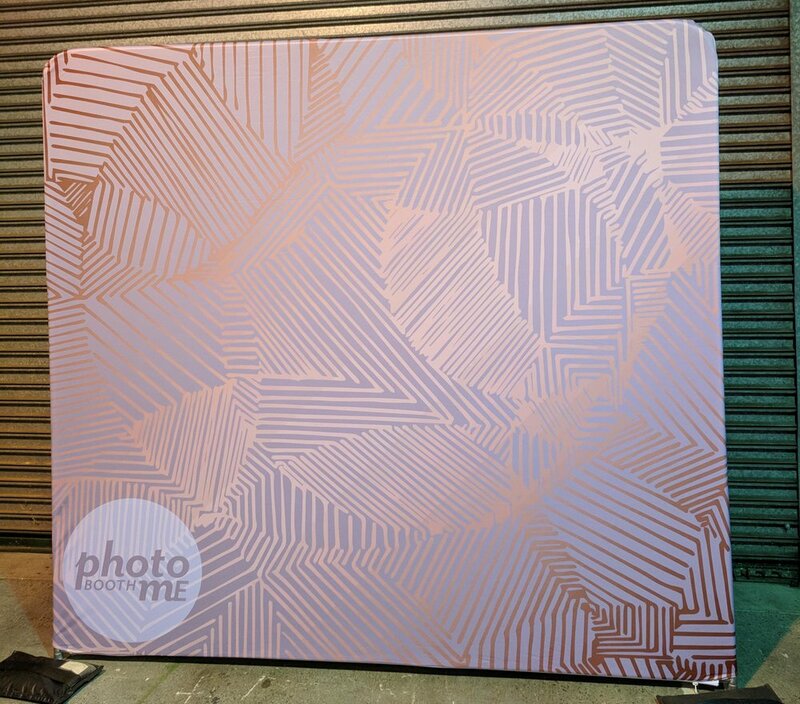 It has some serious depth and texture to add not only to your photo booth photos but also to the look of your event. Our Green Wall is 2.25 metres high and 2.1 metres wide and costs $350 with any booth hire or $550 on its own. 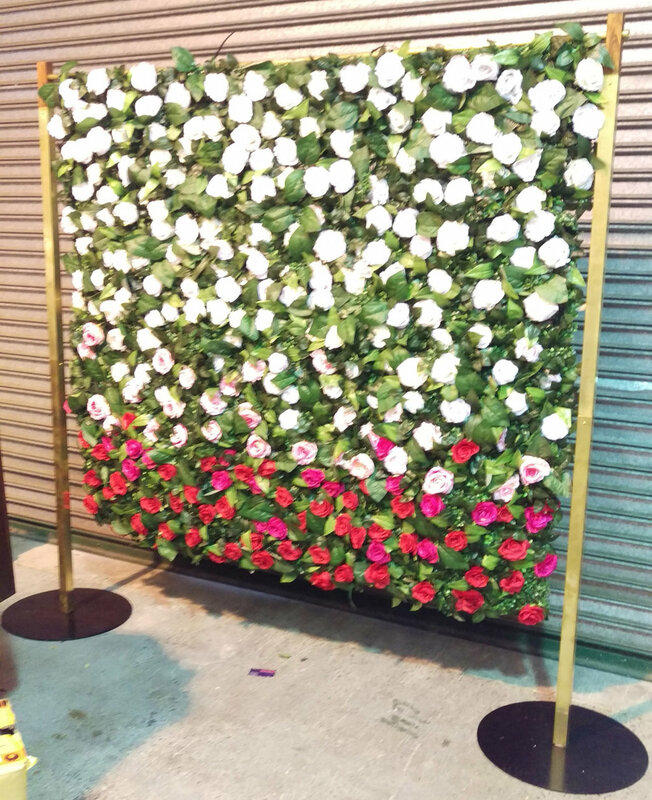 Unlike other backdrops that might look fine in the photo strips our flower wall has been designed with a stunning timber and brass stand to make it look great in the middle of your event too. Our flower wall can be setup to flow top to bottom either white to pink or pink to white (see photos). 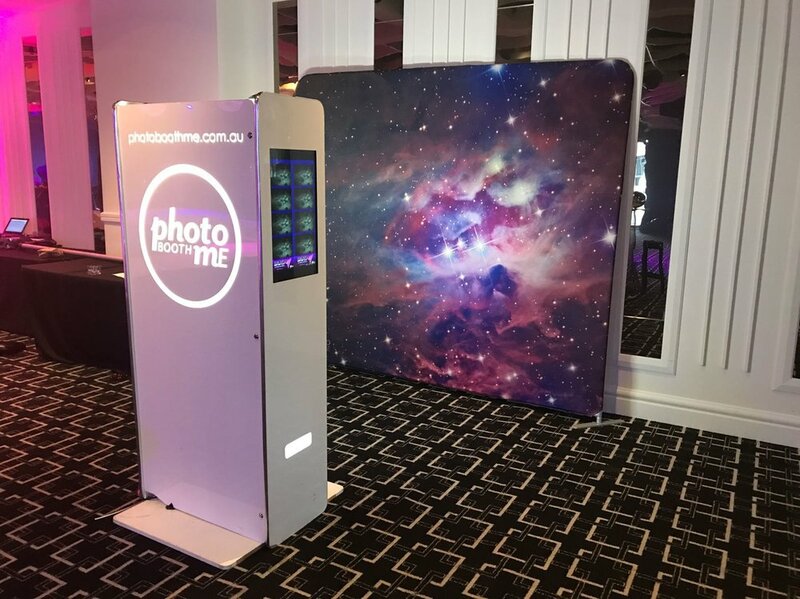 The photoboothME Flower Wall is 2.1m wide and 2.2m high and is $250 with any booth hire or $450 by itself. 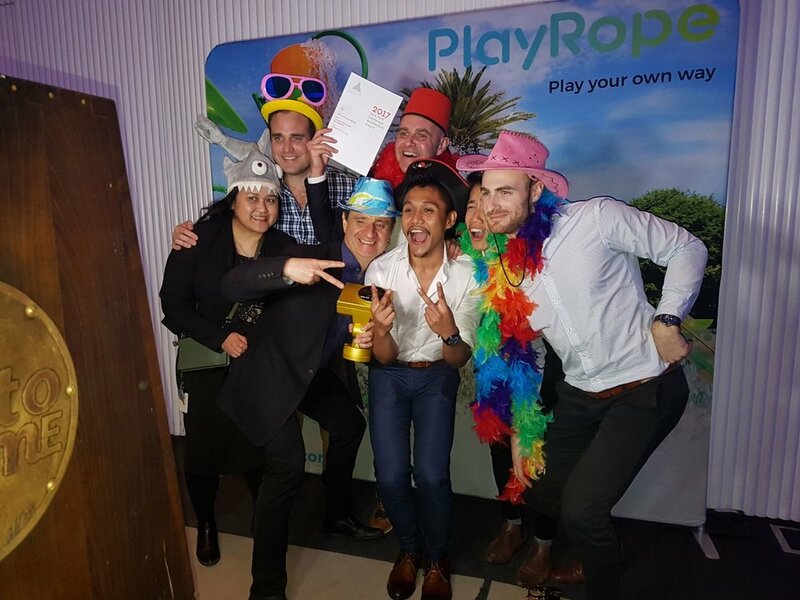 Our Balloon wall backdrops enable amazing colour combinations and patterns, they look great in your event and they provide a perfect textured backdrop for photos. The colour combinations are endless, let us know what you might want and we can tell you if it's possible. A 2m x 2m backdrop starts at $300 delivered and setup. 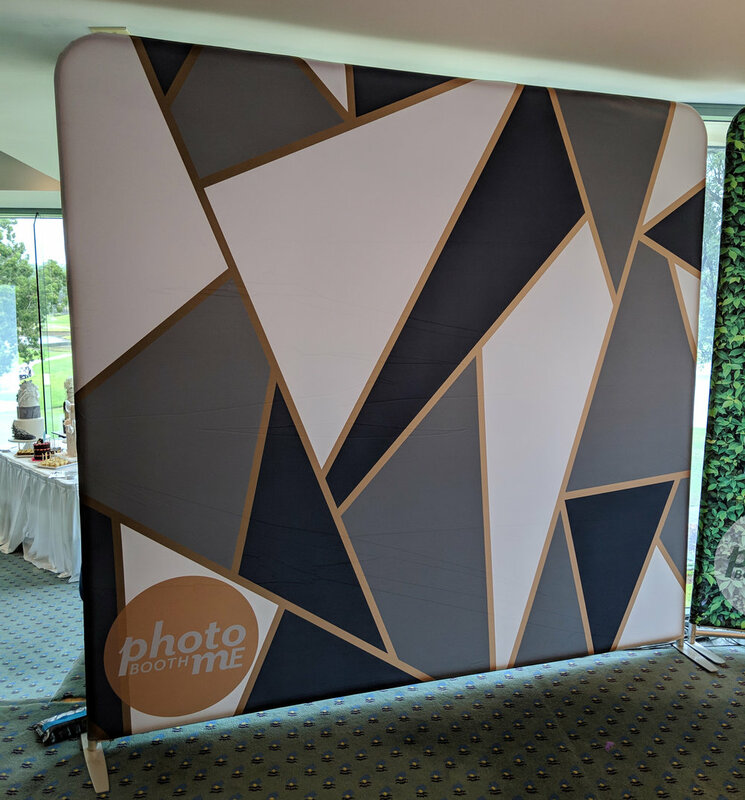 Our photoboothME basic backdrops are fabric printed backdrops that provide a fantastic backdrop for your photos. The fabric backdrops are 2.4 metres wide and 2.3 metres high (they sit a bit higher on our stands). 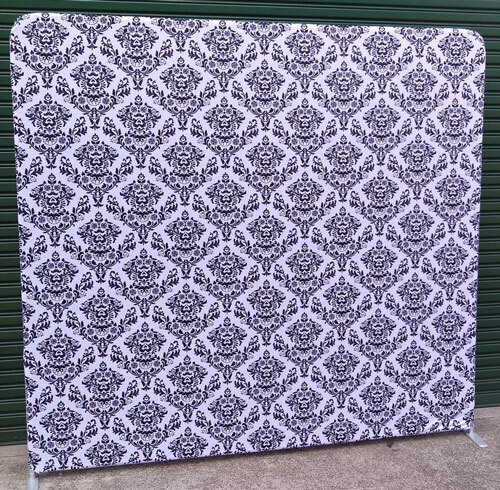 These backdrops are $60 with a booth hire or $150 dry hire (pick up and drop off in Rockdale) or TBA if you want us to deliver and setup only a backdrop. Our Christmas themed backdrops are now available. We've got a couple of them already ready to go but we are also looking to make some new ones so let us know if you have an idea. If we like it we'll make it and you can have it. Christmas Backdrops are $60 with any booth hire. We are also able to create a totally custom backdrop for your event. 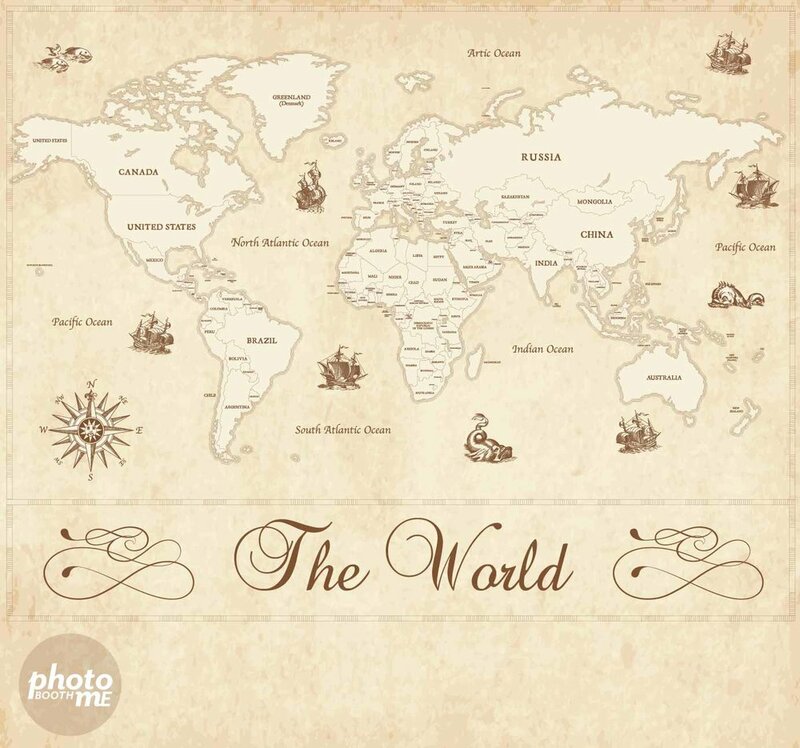 The backdrop would be just like our basic backdrops above but with your design printed on it. 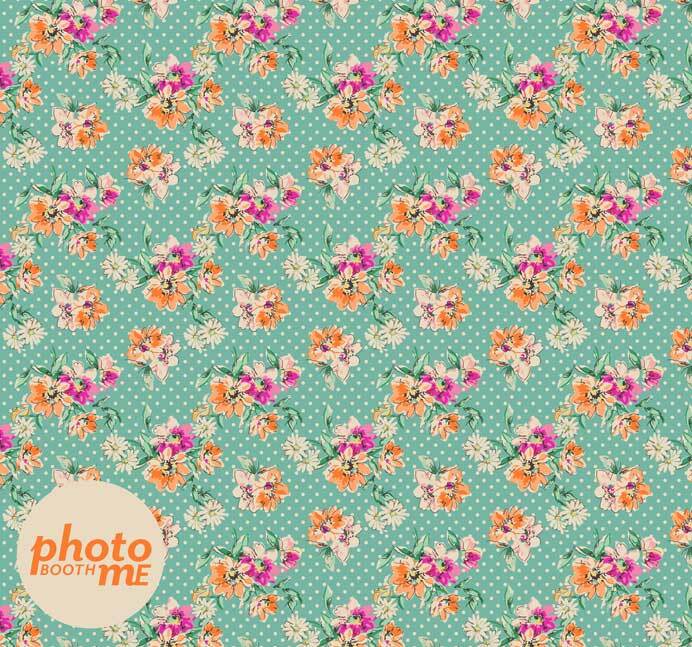 Our custom backdrops are $440 for the fabric and yours to keep forever. If you wish to also keep the metal stand that it comes on please add $250.